Today's guest post comes from first year medical resident Jen Crichton (who you can follow on Twitter). After she came back from a recent CaRMS event and told me what was being served (she's spending a month with us at our office), it reminded me that people consume what they're given, and that of all people, physicians ought to be considering that in their offerings. Sustainable water drinking containers are great but let’s not throw the baby out with the bathwater. It’s no secret that food environments shape our choices. 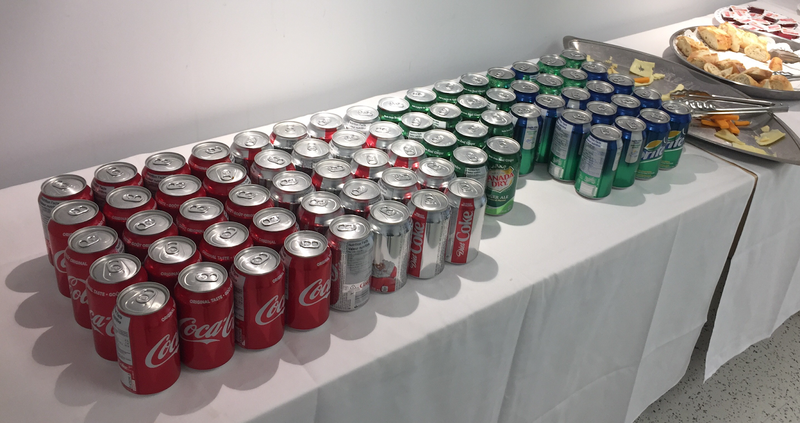 Anecdotally, I was a part of one undergraduate medical event where organizers made the effort to purchase still and sparkling water off campus and bring it back on-site themselves. Many students had a relieved and refreshed reaction at the less common option of sparkling water. As residents, we are the next generation of physicians in training. Across many different medical specialties, we counsel patients to avoid sugar-sweetened beverages for their own health. We lament with our patients that the food environment around us can be challenging to always make healthier choices. And then on a personal level, residency can be a time of sleep deprivation and limited self-care activities such as cooking and exercise. In medicine, and really in any field where one has public influence, we need to stop shying away from opportunities to be leaders in the promotion of water as the beverage of choice for health. Sure, it can be hard to please everyone at events. However, in an area where there’s really no longer any debate in terms of health impacts and recommendations, let’s choose to be better role models with respect to excessive sugar consumption and its role in obesity and other chronic diseases. I’m not suggesting that we embrace the disposable plastic water bottle wholeheartedly but rather that we should re-think our indifference (or even preference) towards other sugary drinks delivered in plastic bottles or otherwise. The challenge is ours in how to create supportive environments that remind us to bring a reusable bottle or cup, that make access to safe drinking water readily available, and that do not punish our health by offering sugary drink choices. It does not need to be complicated. It just needs to be the default. Water’s number one: Always offer water as the beverage of choice. Sustainability whenever possible: Water delivered in an environmentally-friendly cup or bottle is optimal. Avoid sugary drinks: Do not forego bottled water in favour of 100% fruit juices, sodas, sports or energy drinks, or other sugar-sweetened beverages. 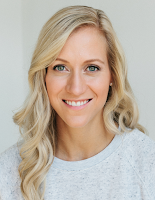 Jen Crichton is a Family Medicine resident doctor in training at the University of Ottawa with interests in nutrition and exercise as they intersect with all aspects of primary care. She loves all things active: CrossFit, running, and puppies. Saturday Stories: Rutabagas, Farming, And P.E.